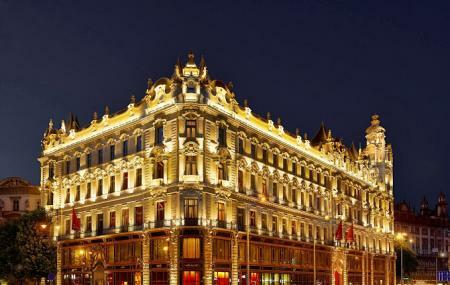 Find hotel near Buddha Bar Hotel Budapest .. This historical site has been converted into one of the best luxury hotels in Budapest called the Buddha Bar. Although it is still commonly referred to as Buddha Bar Klotild Palace, it has more or less given up on the historical feels after its renovation. Today it stands as one of the most frequented places in Budapest to have a good time. The place is also quite sought after amongst tourists who like to have a comfortable and memorable experience during their stay in Budapest. Visit for the amazing spa or simply absorb the fun of this world wide chain through the Sunday Brunch. For check in and check out timings: check the official website. How popular is Buddha Bar Hotel Budapest Klotild Palace? People normally club together Parliament House and Central Market Hall while planning their visit to Buddha Bar Hotel Budapest Klotild Palace. Room was perfectly clean and well furnished. Our room had a balcony which had 2 sets of doors which kept any noise or cold out at all. House keeping is excellent and the staff very happy to help. The rooms are exactly as you see in pictures. A little darker than other hotels but it sets the scene and is easy forgotton about. 24 hour reception/concierge is helpful. They speak excellent English. The whole hotel is luxury and decorated beautifully. Very nice hotel in a great location. All staff are very welcoming and helpful. Beds are very comfy, some mornings were a struggle to get up. Would recommend this hotel to people. Absolutely stunning. With the way they treated us- I should have not be able to Pay for it. Amazing staff, beautiful room, practical location.. Everything you need for a vacation in budapest. Highly recommend. If you want LUXURY then come stay here!! It's beautiful dark and perfect for couples wanting some time away! Sound proof rooms with balconies! Couldn't recommend more. Great hotel, it was beautiful however I feel hotel had some very beautiful and non practical designs. For example in the bathroom, they have a very nice rain shower but the design was in a way that whole bathroom floor was like a puddle after a shower. Also one day we asked for an iron and the next day we came to our room and iron was taken away without telling us. That being said, staff were extremely nice and helpful, specially at front desk 2 gentlemen who sat with us for about one hour to answer all our questions about sightseeing for the next day, I think one of them named Attila. I wish I remembered the other gentleman's name.